Natural wonders like budding trees and flowers can be captured in different ways throughout a house. Interior courtyards and gardens easily produce a feeling of freedom while offering an alternative to lawn in the front garden. We could all benefit from a little more vegetable growing instead of wasting water on watering the lawn. 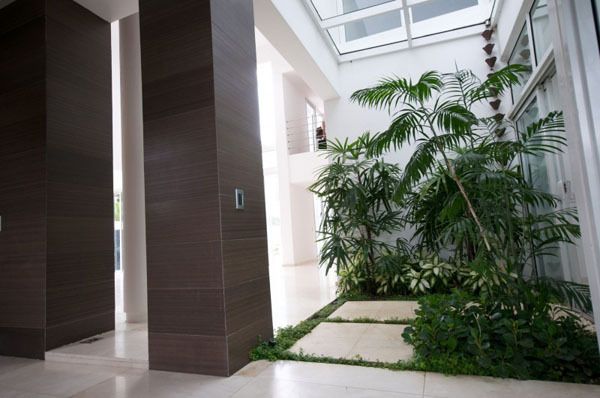 Then how about enjoying a little greenery right in the living room? Inspired by the work done by Vietnamese architects a21 studio on the a21 House, you could experience the fabulous feeling of living almost outdoors with all the comfort of inside living. 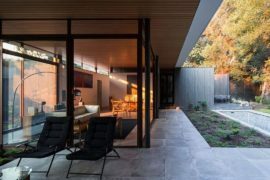 In this particular case, the interior courtyard runs from the lower level all the way up to the roof, drawing in natural light to flood the interiors. 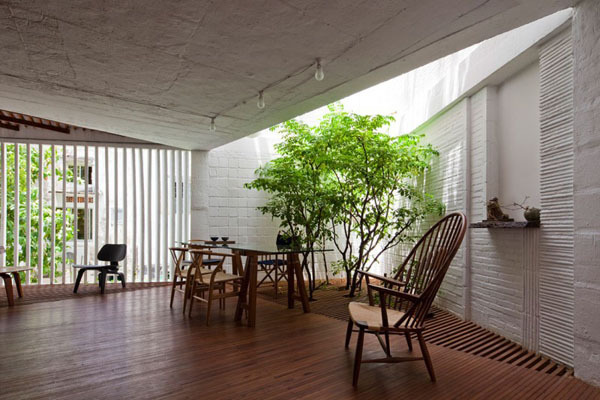 Trees grow from between wooden slats that shape a light well piercing one corner of the house from top to bottom. Contrasting with white walls, green insertions fabricate an empowering atmosphere while the warmth of the wood creates a well-balanced design. Take this possibility into consideration when thinking about your future dream home – its beauty and openness will be worth it. Displaying a green garden in the middle of a room takes boldness and a sense of exotic adventure. Imagine with the help of the photo below, that you live in this stunning Broadway Penthouse designed by architect Joel Sanders – a home created on the concept of a reinterpreted urban garden. 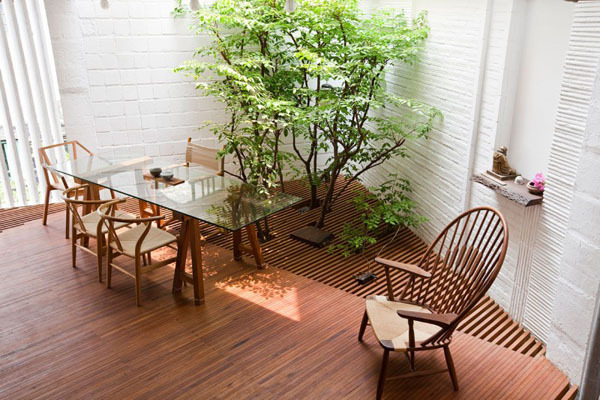 This hybrid between a terrace, a living space and a miniature botanical garden, is part of the Alleyway House. 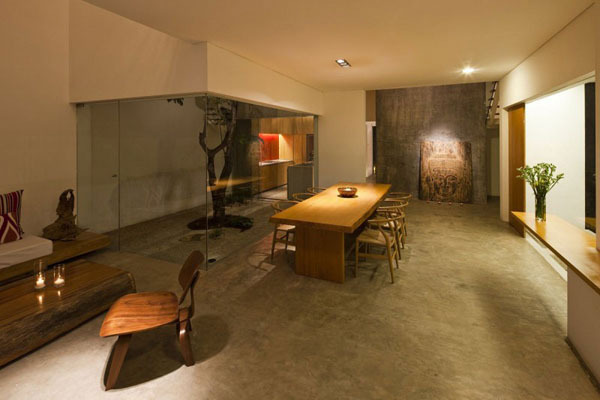 Controlled by the imagination of Formwerkz Architects, each space in this home is flooded with light and the architecture facilitates an effective cross-ventilation. This is a spectacular dream home even without mentioning the impressive 2-storey cage structure home to the family’s precious parrots on the ground level and the master bedroom’s outdoor shower on the upper level. 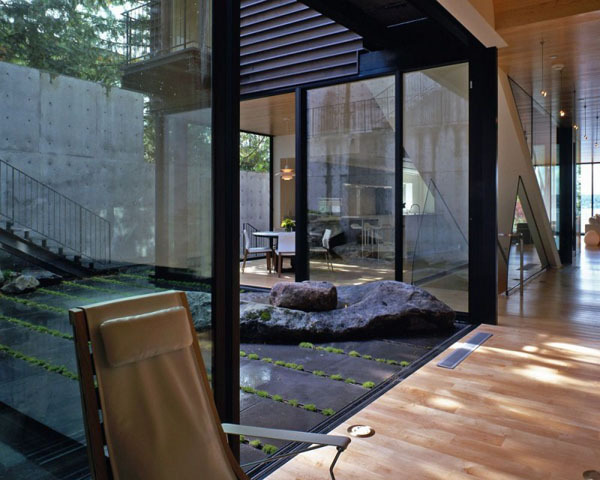 Moving on to another idea – a stunning garden captured in between three glass walls seen in a splendid courtyard house built on a steep site in Mercer Island, Washington. 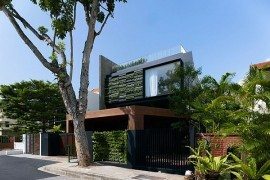 Architects Hutchison & Maul exploited the idea of creating this garden as part of the residential space arrangement, a bold and artistic threshold between the calm and private interior and the dynamic urban city patterns beyond the walls. Under a skylight, greenery will thrive and be able to spread their positive energy under a warm glow. A good example is the F House – a residential space that provokes the inhabitants to live among a series of interior gardens impregnating the atmosphere with a sense of wilderness. 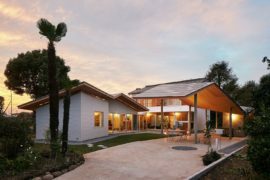 Designed by Dominican architectural firm Pons Architects, this exemplary proof that a lifestyle can become anything you want it to gives up hope for a greener future. Maybe you’re a cactus fan – never mind, this next example will surely make you belong to that interesting group of people. Protected from their hurtful beauty by a glass layer, you would be able to admire without touching and witness the plants’ uninterrupted growth. 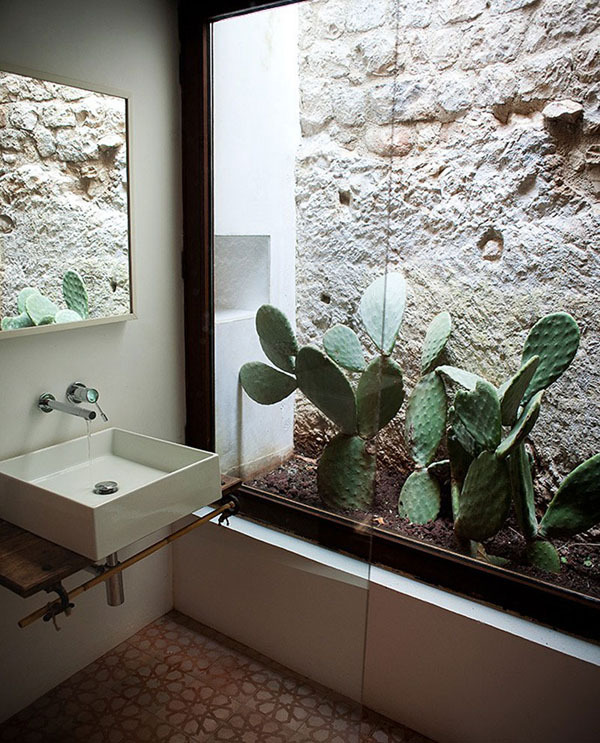 This stunning cactus bathroom is part of Italian architect Marco Giunta‘s portfolio. Perhaps a home organized around a central courtyard – like this London home by Hampson Williams architects below – would spark up your interest in a modern interior garden. Showcasing timber and glass interiors by craftsman Bill Bradley, the home draws in natural light through the ceiling. Banana trees, palm trees and bamboo enrich the exotic use of details throughout the home. 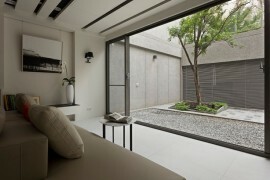 A sleeker version of having trees grow a few inches away separated by glass comes from designer Susanna Cots. Part of a stunning property above the sea in Almunecar – known as Pure White – the dreamy living space encompasses a visual extension in the shape of an exotic, minimalist display of palms. 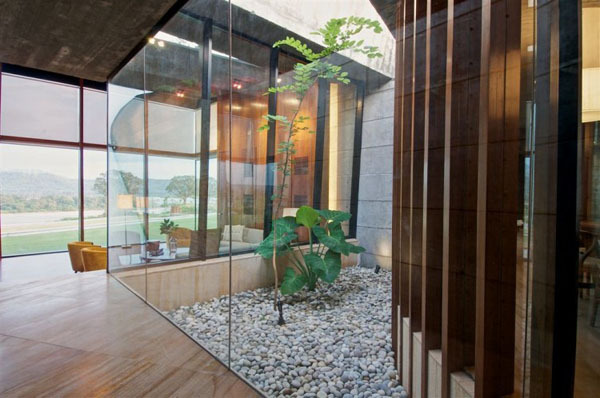 How about breaking the monotony with a tree growing inside a glass box in the dining room? That would definitely spark up interesting dinner conversations and leave your guests impressed. 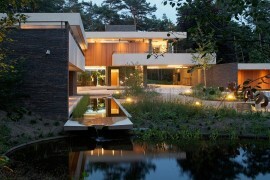 An elegant example of this concept can be seen in another architectural creation of a21 studio, known as M11 House. 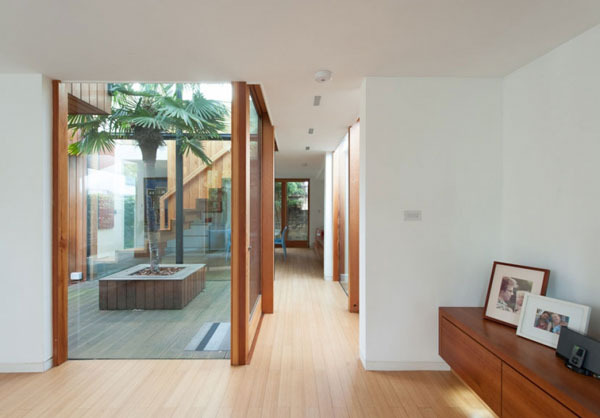 A light corridor could blast the monotony of a modern home – walking across a timber deck flanked by glass walls is a contemporary experience worthy of praise. 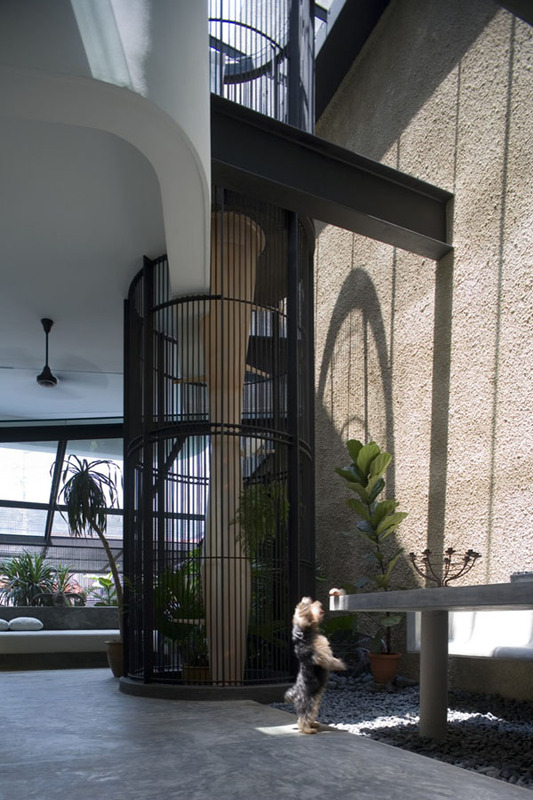 The architect – Mr. Rajiv Saini – who created this transparent connection between spaces imagined a refined interior courtyard adorned with a rug of pebbles. This holiday retreat is a holiday in itself even with the proximity of the Ganges river to rival with. 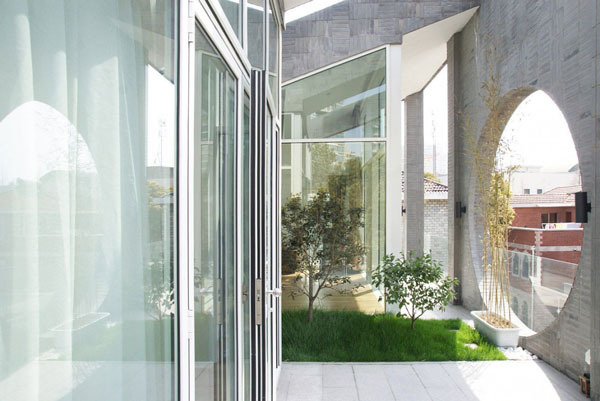 An apartment building can become the perfect dream home – I could see an interior garden growing on a terrace, as seen in QSJW Architects’ portfolio. 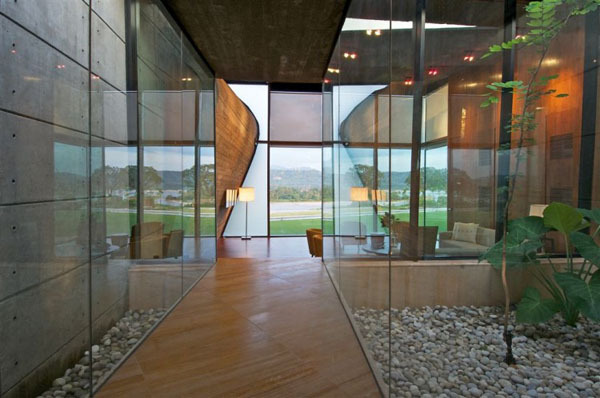 This is actually a house known as Villa A that displays a magnificent geometric architecture adorned with glass railings. 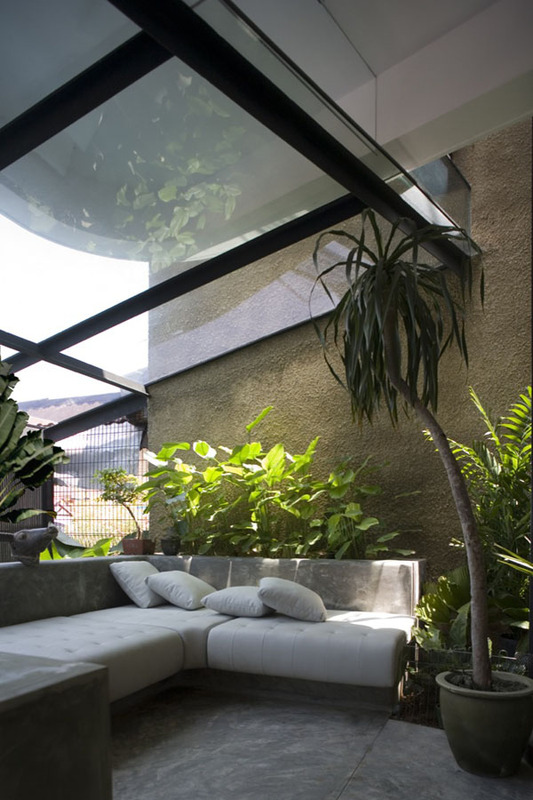 Pierced by a hole in the facade, this upper floor interior garden/terrace allows the bedroom to open up to green surroundings. Greenery is a natural choice we make – it’s only natural we surround ourselves with nature every chance we get. 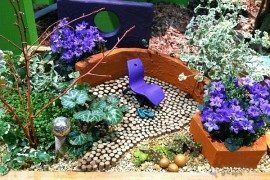 What is your reason for this curiosity about interior gardens?